Then there was that mysterious video on Youtube, those forty seconds of "found footage" he claimed to know nothing about. Many considered this to be the most convincing evidence of the supernatural yet, which is odd considering this was something Jack had hoped to debunk. 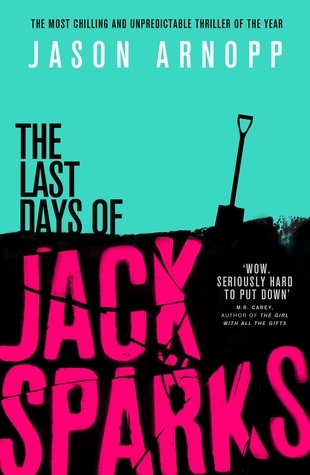 The novel tells the story of the final forty days of Jack Sparks, beginning with the exorcism and ultimately ending with his (untimely? fated?) death. What an exhilarating, dreadful and utterly entertaining read this is, seamlessly blending humour with the most gruesome horror and sense of impending doom. At times, I was genuinely scared. Aside from NOS4A2, this is my most favourite horror story to date. It is, in parts, absolutely gruesome. Should a movie ever be made of this novel, I'm sure the violence will NEED to be toned down! I particularly enjoyed the growing sense of unease, at times wanting to grab Sparks by the shoulders and shake him just to make him see what's really happening to him, though there is a slight twist which makes the final outcome even more delicious to read. Read this if you would like to be shocked and scared, yet still retain a sense of frivolity and humour.